The 3rd annual Emerald Bank Heritage Rally in Shepparton will be on again on Father's Day September 7, 2014. 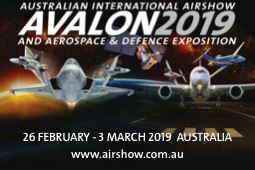 This year the Antiquers will be supporting the event with a fly-in and static display at Shepparton Aerodrome hosted by the Goulburn Valley Aero Club. The event is a showcase of all things heritage and yesteryear and attracts thousands of people every year to exhibit their treasures, or as a visitor to enjoy the displays, demonstrations and discoveries. There will be the working Clydesdales, Fergie ploughing demonstrations, wood chopping demonstrations, chaff cutter demonstrations, antique bicycles and tricycles, vintage and classic trucks, tractors, engines and cars for all to enjoy. The day is for the whole family with free entry, food, kids entertainment and live music. We also hope to have some antiques aircraft engines which will fire up throughout the day, a large steam engine and the Rushworth Traction Engine.